CDX Technologies | ZIP+4 Codes - What Are They Good For? ZIP+4 Codes - What Are They Good For? Our newest version of CDXStreamer provides address correction, ZIP+4, ZIP+4/TIGER, and Canadian postal code data, all within Microsoft Excel. But to the casual user of the US Postal Service (which covers most of us) ZIP+4 codes seem to be just extraneous information, and in fact, there is certainly no requirement from the USPS to use them when addressing mail. So why the interest in ZIP+4 codes? The use of ZIP+4 is intended mostly for business mailers that use computerized or machine-printed labels that can be read by automated scanners. The 4-digit add-on number identifies a much more specific geographic segment, such as a city block, office building floor, or other high-volume mail receiver, as compared to the 5-digit ZIP code alone, and as a result, helps the USPS deliver mail more efficiently and accurately. 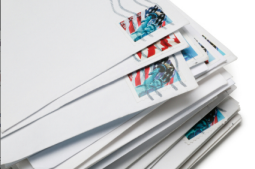 Since it reduces handling and decreases the possibility of mis-delivered mail, mail can get there sooner and even better, can also be eligible for reduced rates. But ZIP+4 codes also provide a way to access valuable data that can help identify potential customers and markets. With the millions of ZIP+4 codes assigned in the United States, they can be used to very accurately pinpoint an address and link it to specific demographic information available from the U.S. Census Bureau. For instance, CDXStreamer can identify the ZIP+4 codes for a list of addresses, and then find the latitude, longitude, census tract, and block number associated with each of those codes. These data are the keys to the extensive demographics available from the 10-year and annual American Community Surveys performed by the U.S. Census. CDXStreamer specifically uses a USPS data product that matches the information on the Census Bureau's TIGER File to the United States Postal Service's ZIP+4 database. TIGER (Topologically Integrated Geographic Encoding and Referencing) data is used by the Census Bureau to describe physical land attributes, such as lakes and rivers, as well as other areas such as census tracts, to support the process of taking the decennial census. The resulting USPS file contains over 33 million data records from more than 27,000 5-digit ZIP Codes. The records relate ZIP+4 codes to state, county, Standard Metropolitan Statistical Areas (SMSA) codes, tract number, block number, and geographic coordinate information. Coverage of the file is limited to the address ranges in ZIP+4 database that could be successfully matched to the address ranges in the Census Bureau's TIGER File. The end result is an effective way to help identify and develop market opportunities using one of the most extensive demographic databases available for the U.S. market. Also available is a complete listing of all datafeeds and formulas provided with CDXStreamer in the downloadable Excel file CDXStreamer Example Data. CDX Technologies also has a companion product, CDXZipStream, that provides extensive demographics based on census tract and is available as an add-in in Microsoft Excel. The CDXZipStream Premium version includes census tract demographics covering population, age, income, household size, educational level, school enrollment, and marital status. You can download an Excel file with a complete list of available demographics from CDXZipStream here. How ZIP+4 codes can be used to identify market opportunities and grow your business.